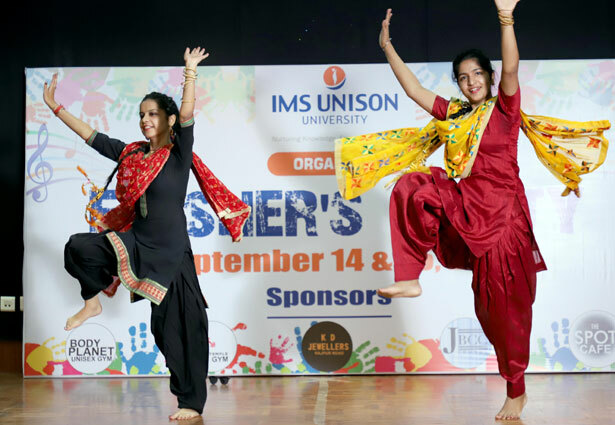 Alumni Meet 2018 which was hosted by the University for the alumni of IMS Dehradun and IMS Unison University was a grand success and saw the homecoming of over 350 alumni. The students of the University put up a great cultural evening. The alumni shared their thoughts and got nostalgic.The music got the students dancing on their toes. The Front Office lab is meticulously designed like a hotel lobby with training reception counters, bell desk, bellhop trolleys and grooming sections. Back Office Training Lab has state of the art computer stations with pre-installed hotel training software. Mr Saurabh Kapoor- Head HR Reliance Securities. 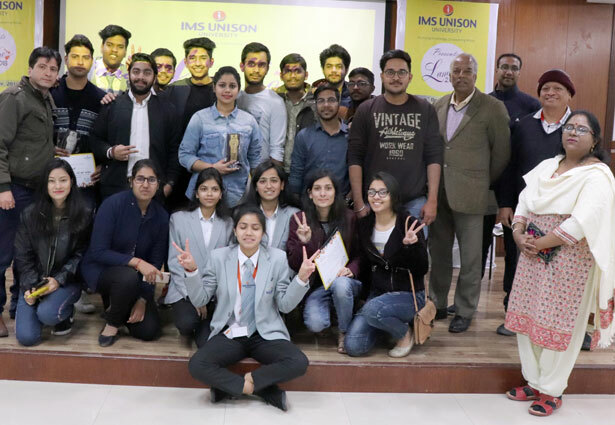 School of Hospitality Management at IMS Unison University and COWE (Confederation of Women Entrepreneurs) organized a Vegetarian Culinary Based competition Rasoi Queen Season 3 round. Winners were selected as top three from Uttarakhand for Semi Finals to be held in Delhi. Shri Harak Singh ji Rawat was the Chief Guest and he appreciated the initiative and exhorted upon the skill development of women that can bring about empowerment. The event was judged by eminent and celebrity Chef Rahul Wali .Chef VikasKuriyal Chef Tanuj Nayyar, Chef Pradeep Rawat, Chef Ashish Gagat, Chef Keshav Chawla and Chef Dev Mehta. IMS Unison University gave a warm welcome to its newly admitted batch of Post Graduate students today (MBA, MJMC & LLM). 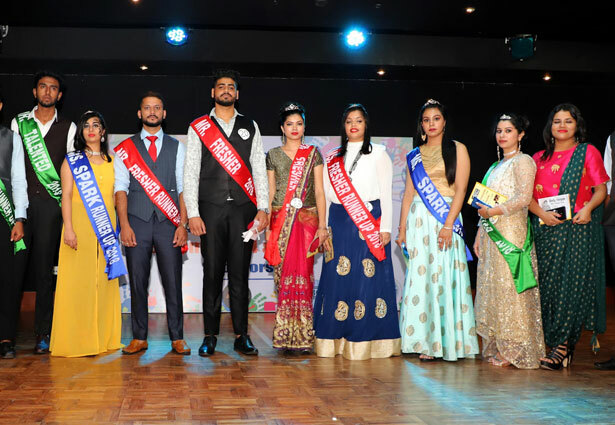 In complete observance to the dress code given by their seniors, pretty girls dressed in capes which they teamed with stylish bottom wear and boys immaculately dressed in waistcoats and pants turned up in large numbers to bring out the festivity and splendid display for the Freshers Welcome bash 2018-19. The University had made grand arrangements to welcome the new batch of students whole-heartedly in Vedanta Auditorium. Dazzling lights richly enhanced the look and feel of the stage. 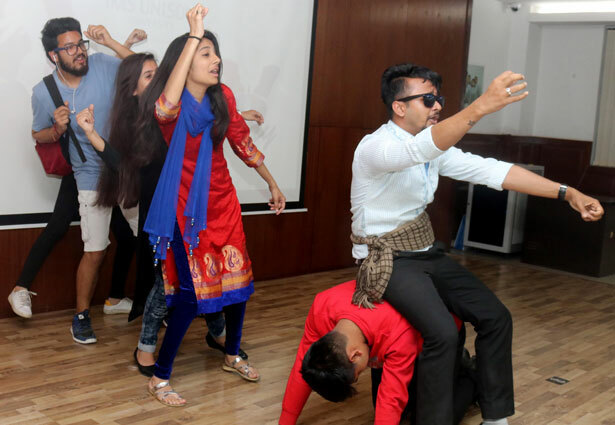 The event commenced with a plethora of performances in the form of guitar play, solo songs, enthusiastic dance performances by seniors and wondrous dance performances by juniors. IMS Unison University, Dehradun has taken the initiative of organizing an Outreach Program on Management of Intellectual Property in collaboration with IIT Roorkee on 1st September, 2018. 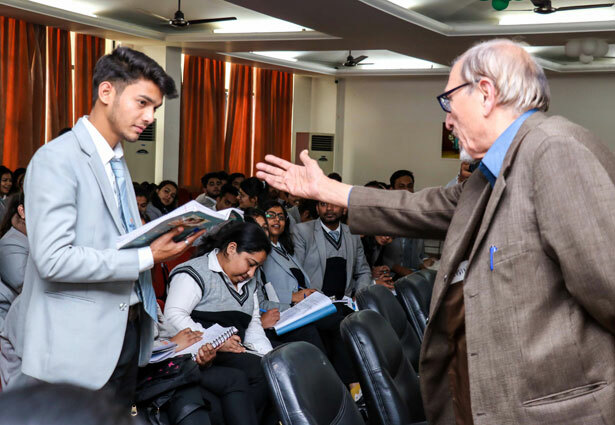 The vivacious event was marked by the gracious presence of two very prominent and esteemed intellectuals from the exuberant premises of IIT Roorkee, Prof Vinay Sharma and Prof Rajat Agrawal. 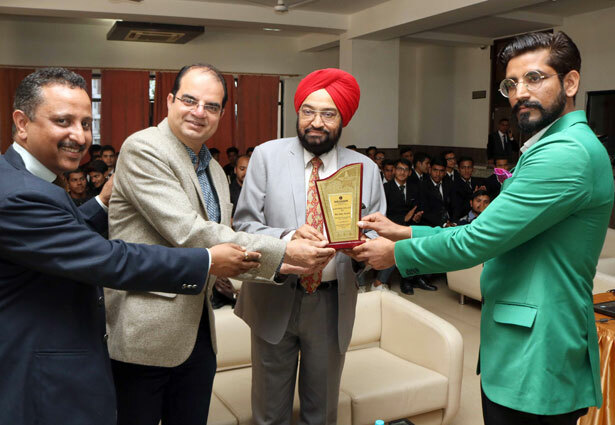 Prof. Vinay Sharma spoke on Marketing of Innovation and Prof. Rajat Agarwal deliberated on Management of Intellectual Property. The two lectures were followed by a question and answer round. 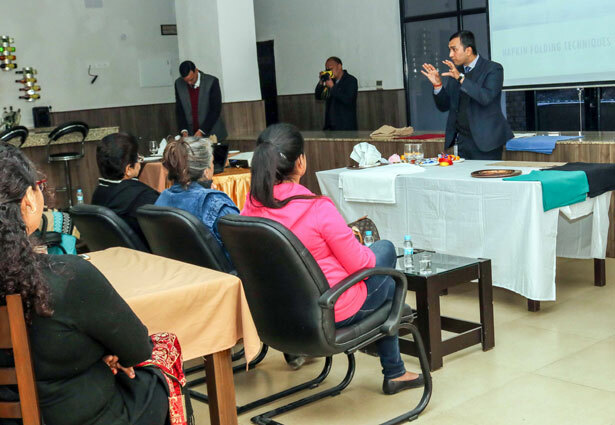 School of Hospitality Management at IMS Unison University, Dehradun organized THE WORKSHOP ON BARISTA TRAINING on 15th & 16th November 2018 for hospitality students, hobbyist and Coffee Connoisseurs in and around Dehradun. 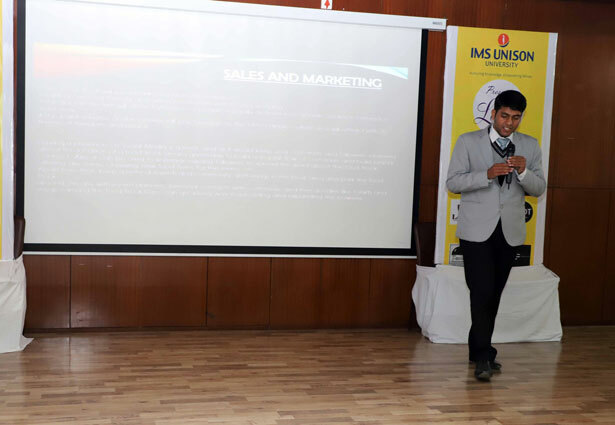 The workshop was attended by students , faculties and coffee enthusiasts from various hospitality institutes from Dehradun. 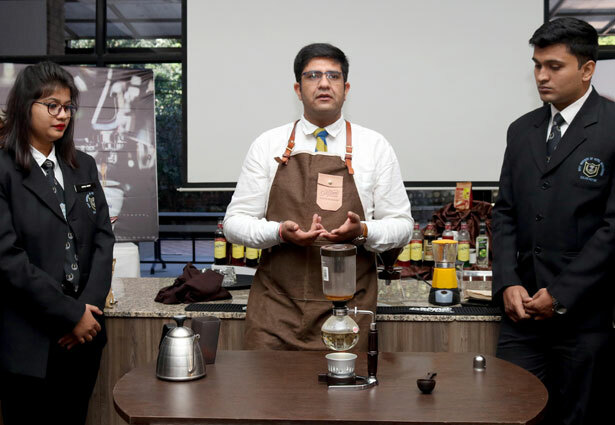 The workshop was aimed at in-depth information on Coffee Botany along with intensive skill training in brewing Espresso Shot, basic Italian coffees, Coffee based drinks and Latte Art, conducted by Mr.Tushar Arora and Mr Vipul Arora, the coffee brew masters with experience from renowned hospitality organizations and certified by UCAI officials. 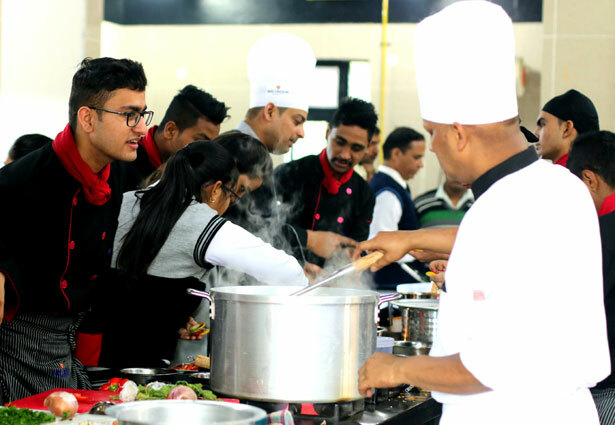 This two day workshop was unique event in Dehradun as it gave the opportunity for hospitality students and coffee enthusiasts to learn by doing during each session. 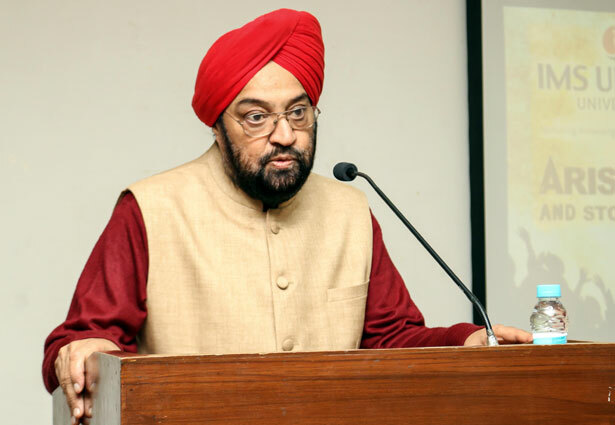 Prof. GurdipSingh ,The Chancellor - IMS University, reiterated that these types of intensive workshop session will build skills in the professionals, which is the need of the hour. Various varieties of coffee were prepared and practiced namely Espresso, Cappuccino, Latte , Mocha, Espresso Martini , coffee by drip method, filter method, siphon method, French Methods etc. The session also highlighted upon special coffee based mock tails. Along-with practical session the talk on startup on small food businesses was delivered by Prof (Dr.) Vinay Kumar Nangia. 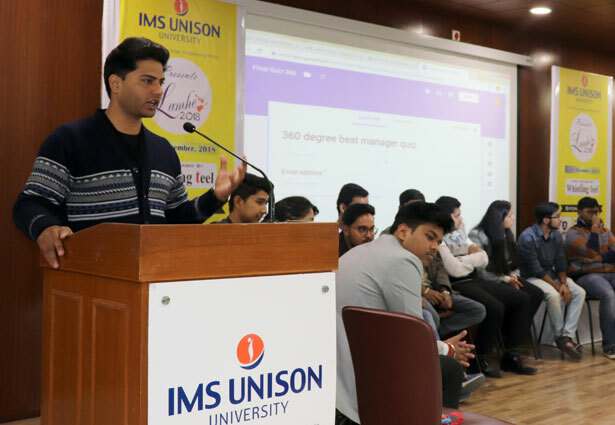 An intellectually stimulating five days workshop was conducted at IMS Unison University campus to hone the skillset of MBA students from 11 March 2019 to 15 March 2019 that helped them get good placement opportunities and add yet another feather to their caps in addition to the highly enriching value addition programs held at the University on a continuous basis. The training was provided to more than 200 students of the University. 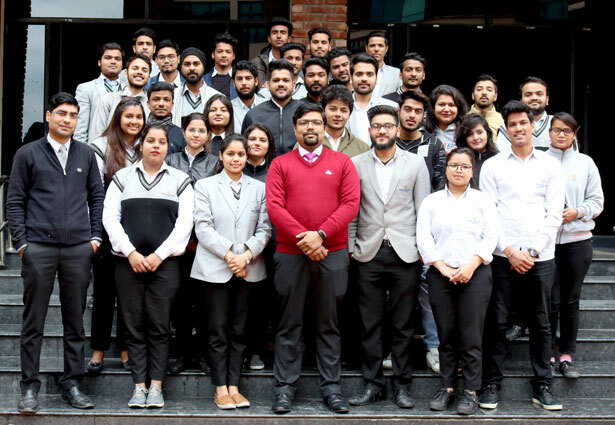 The best private University in Dehradun providing a great value to the students witnessed the visit of highly experienced trainers under the leadership of Mr. Vishwadeep Khatri, Founder CEO of Benchmark Sigma with more than 25 years of experience working in the industry in the area of process improvement and trainings. 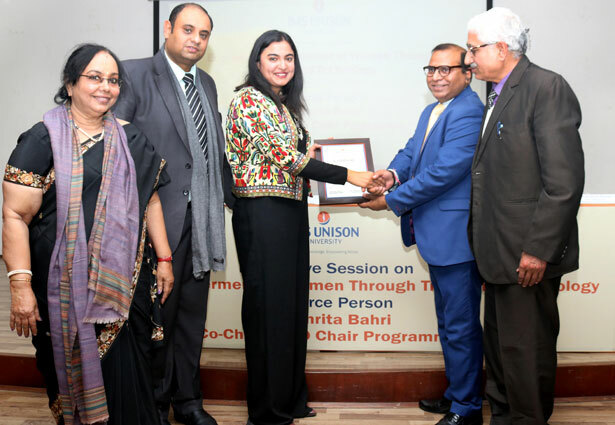 School of Hospitality Management and School of Liberal Arts celebrated International Women's Day, 2019 by jointly hosting a highly successful one day National Interdisciplinary Conference Challenging the Status Quo: Gendered Empowerment and Change.The event brought together academics industry professionals, researchers and students from diverse disciplines and fields across the curriculum in a series of well attended sessions on Gender and the Professions, Gender and Culture, and Empowerment. 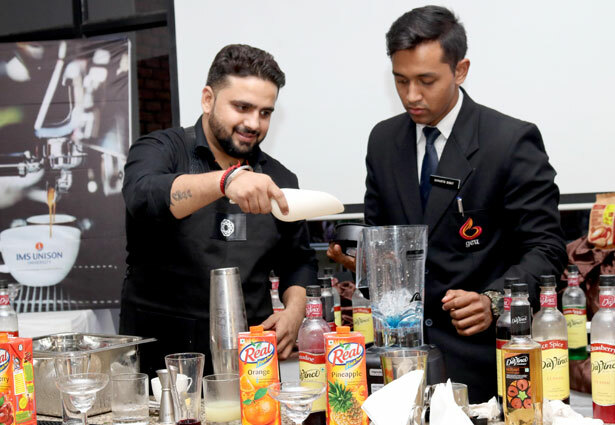 School of Hospitality Management, IMS Unison University and Bar Academy of Dehradun hosted Bartenders Conclave 2019 on February 22, 2019.India's renowned Bartenders graced their presence to conduct various technical sessions and presentations related to the trade. 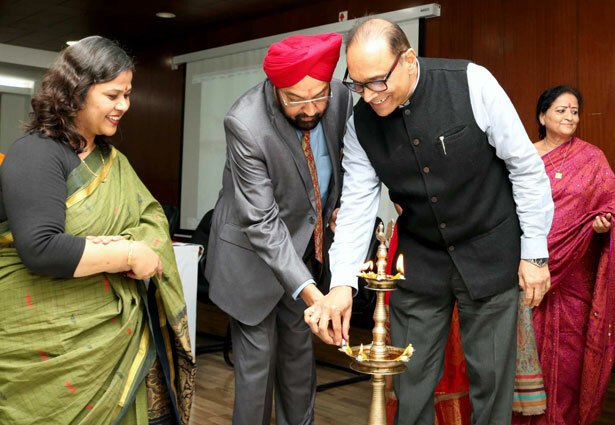 At the inaugural session Honorable Chancellor, Prof. Gurdeep Singh conveyed the importance of passion for the trade and how this profession has now grown with social acceptability. Dr.Ravikesh Srivastav elaborated on how skill based vocations are emerging on the horizon. The bar specialists were felicitated by Honorable Chancellor and the officers of the University. Mr Sandeep Verma was felicitated in absentia the Achievers Award and Bar Star award was felicitated to Mr.Kuldeep Singh, Mr Sam Suman, Mr. VaibhvUniyal, Mr. Mr. Piyush Bohra, in absentia to MrJeet Rana , PrateekGusain , Sanchayan Jana, and Mr. Artim. 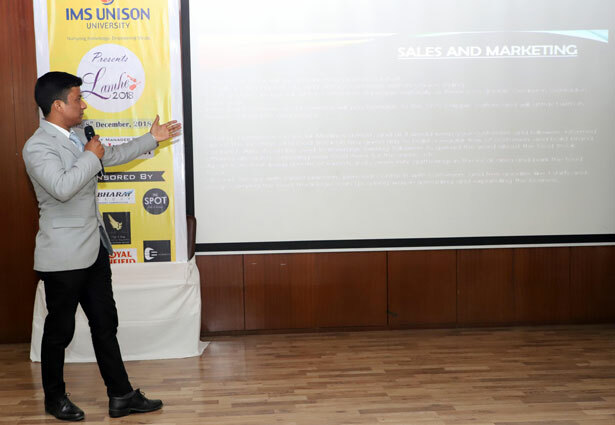 The technical session on craft beers and concept of Micro brewery was presented by Mr.Vaibhav Uniyal. 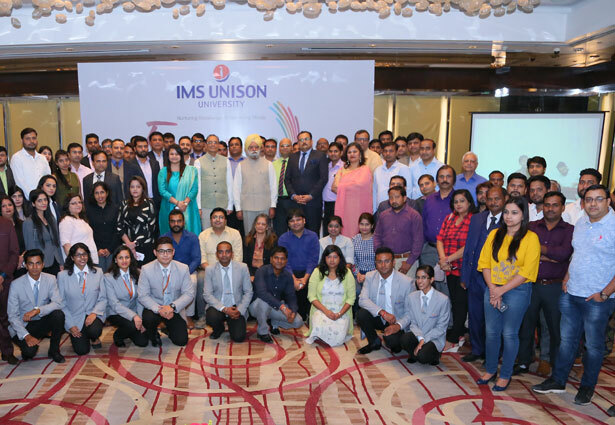 IMS Unison University hosted an Alumni Connect in Thimphu, Bhutan for its Bhutanese Alumni. The meet was attended by Sherab Wangmo BCA (Batch 2003-06), Ugyen Choden, Phurpa Tshering And Jamyang Chophel all from BAJMC ( Batch 2014-17). All students came dressed in their beautiful National Bhutanese attire. The connect began with the alumni sharing their experiences in their new lives and how much they miss their college life. 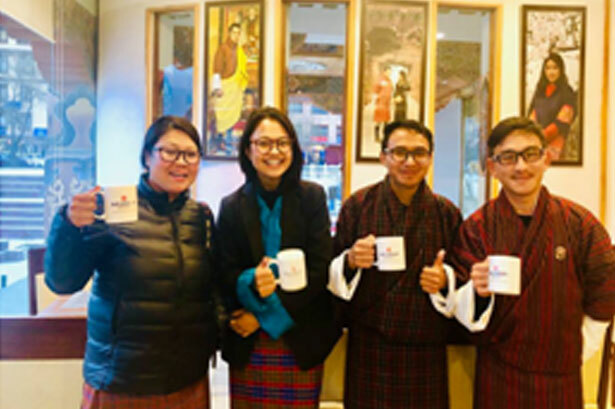 Sherab presently works for the famous Druk School as a Senior Teacher, Ugyen works with Drukair, Royal Bhutan Airlines as their Research Associate And Phurpa & Jamyang after topping their Bhutan Civil Services Exam work for the Ministry of Foreign Affairs, (Royal) Government of Bhutan. The connect ended with a vote of thanks followed by dinner. 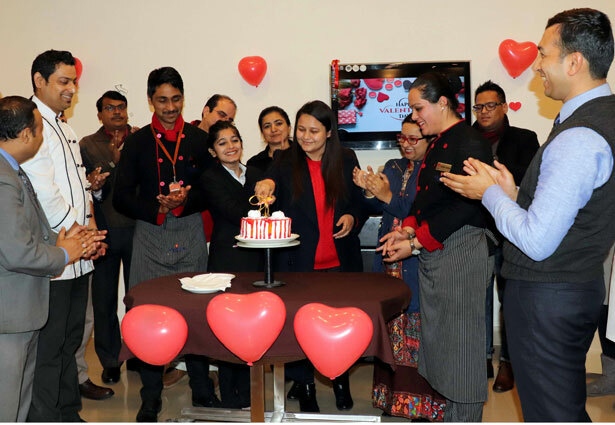 School of Hospitality Management students on 14/2/19 showcased Valentine Day themed Menu -Practical Project, with objective to learn about hosting of theme based food events. 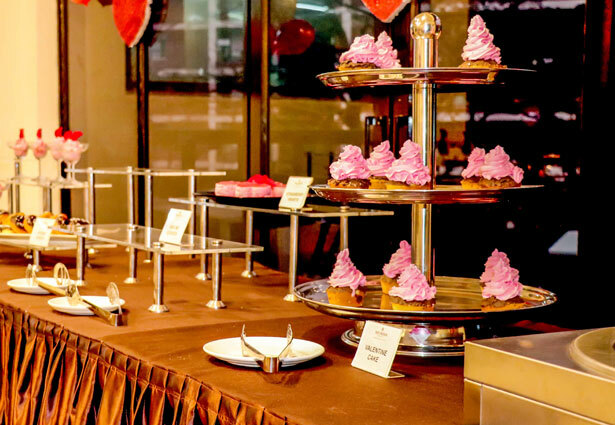 The Restaurant Lab was decorated in tune with theme to build up the ambiance and mock guests were engaged with themed activities along with the food. 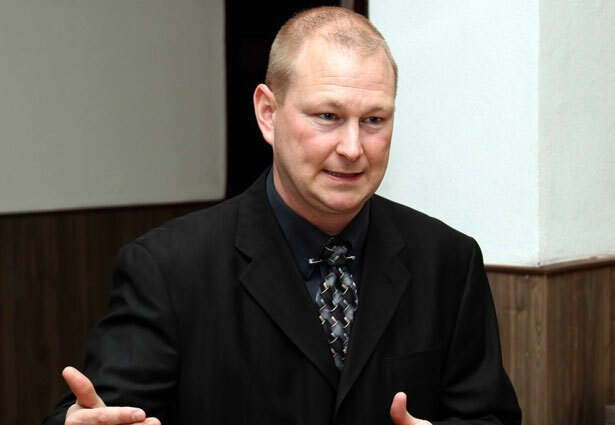 School of Hospitality Management organized a specialist technical workshop on “Whiskyology ". 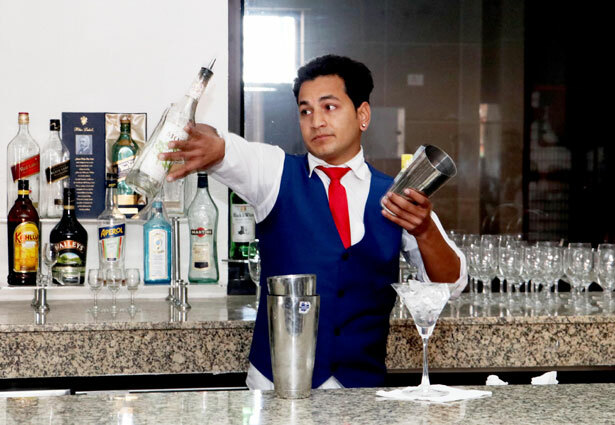 Mr Jeet Verma was the resource person for the workshop, who is a renowned and established name in bar-tending domain and is Head –bartender with Masti Cocktails and Cuisines, Dubai. 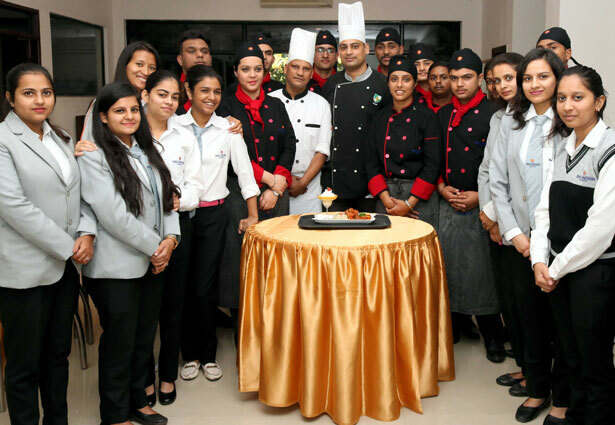 This technical workshop was attended by Hospitality students from various institutes in Dehradun, Connoisseurs and hobbyists. An Interactive Session was conducted today at IMS Unison University on the topic “Economic Empowerment of Women through Trade & Technology”. 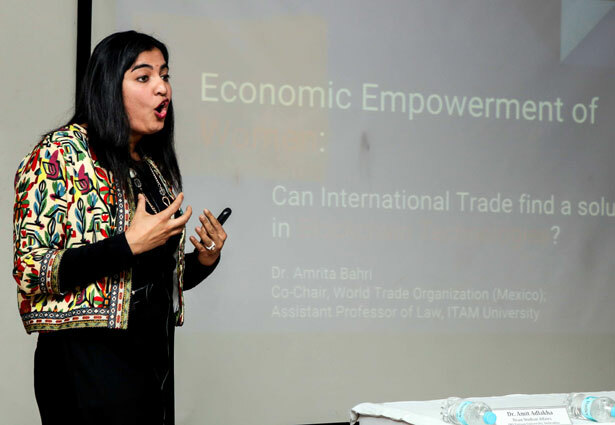 Dr. Amrita Bahri, an alumnus of London School of Economics and University of Birmingham, presently the Co-Chair for Mexico at the World Trade Organization (WTO) was the resource person for the same. 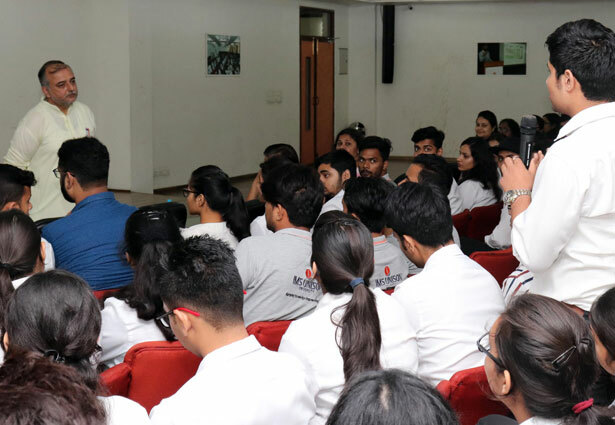 Students and faculty members of IMS Unison University & Swami Rama Himalayan University attended the session enthusiastically and had a great learning experience. During her session Prof. Bahri provided useful insights and explained the importance of women empowerment from a global perspective. She stressed upon the pressing need to empower women in a developing country like India which has ample scope and potential for growth. The Students and Faculty Members asked extremely pertinent questions during the Q & A Session to which she answered earnestly. 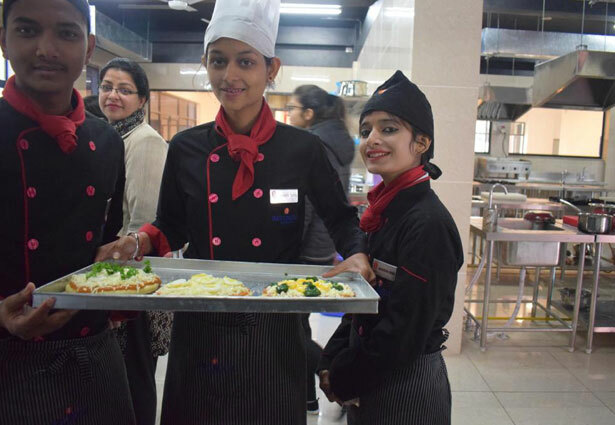 The School of Hospitality Management celebrated National Pizza Day (of America) on February 09, 2019 by hosting special demonstration and practice practical session for hospitality students and hobbyists on various popular Pizzas, including origin, evolution of Pizzas, preparation of various types of Pizzas, secrets of the dough, the expertise of the pizza sauce and their eating methods. 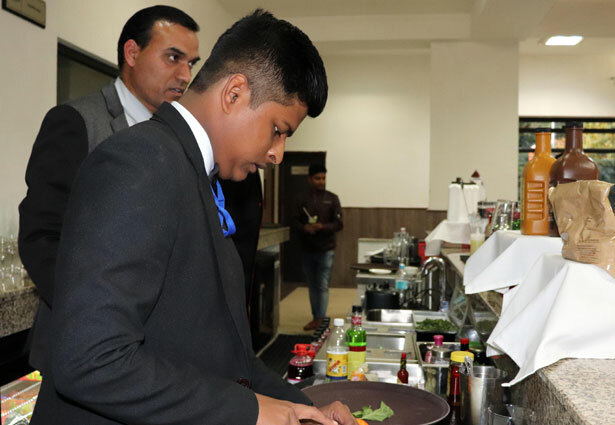 Visiting Guest, Cordon –Blue trained Chef Rahul Wali, Chef Owner of Rahul’s Kitchen, Mr Ashish Narayan, Connoisseur and Proprietor- B & M Store attended the session and interacted with the students. Students presented 17 different varieties of Pizzas ranging from classical Pizza Margarita to Modern Day Cheese Burst. 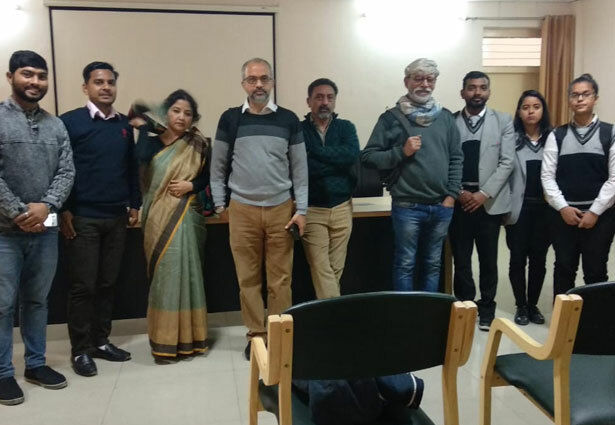 An interactive workshop on 'Writing for Mass Media & Press Council of India: Guidelines for Paid News' was organised by the School of Mass Communication. The resource person for the workshop was Prof. Baldev Raj Gupta, Member, Press Council of India. 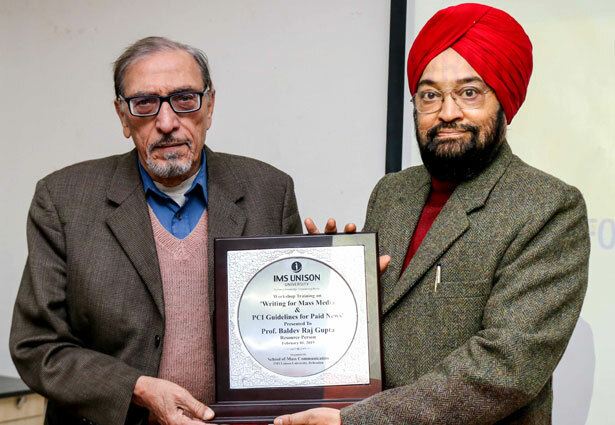 Prof BR Gupta is also an esteemed media academician. In this one day workshop, he shared the current nuances of Indian Media Industry wherein he discussed the perils of Paid News, PCI guidelines and news headline writing. Overall, it was an enriching experience for the students who further honed their news writing skills under his guidance. Film Making Session for SoMC Students. Ray Film and Television Institute at Soochna Bhavan, Dehradun, on January 19. 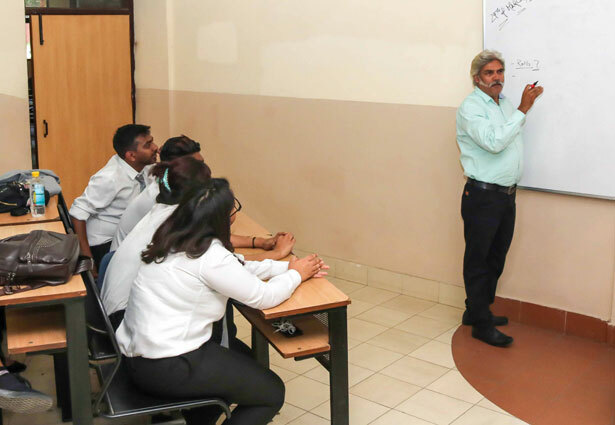 Bhupendra Kainthola, FTII Director and Sudarshan Juyal,a renowned cinematographer and few other officials apprised the students on the available courses at the institutes and on how to qualify for the exams. Overall, it was an enriching experience for students who wished to pursue a career in films. 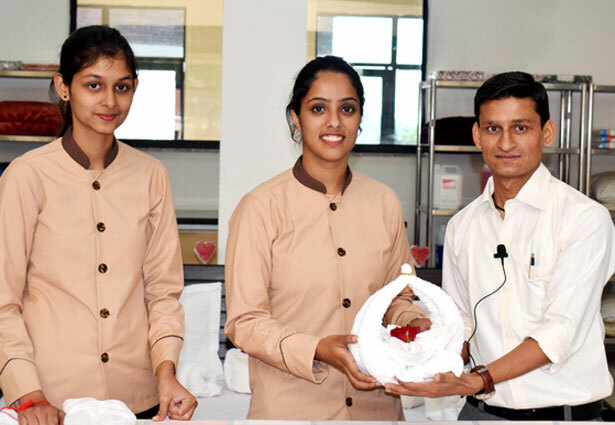 School of Hospitality Management organized Skill based Workshop on Napkin Folding Techniques for the hospitality students, enthusiasts and hobbyists. The workshop entailed the origin and history of Napkins and Napkin folding. 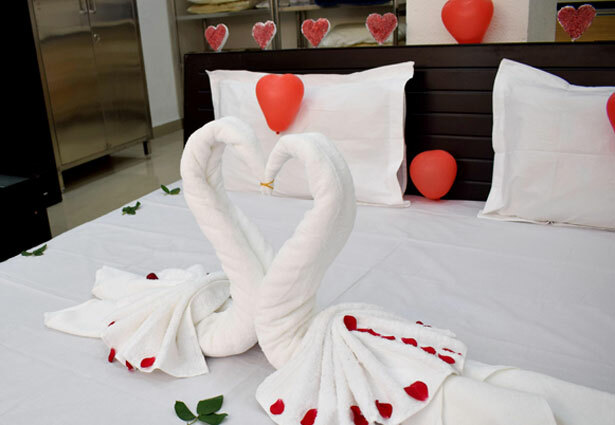 The Napkin etiquettes were elaborated upon in the workshop. The demonstration and practice session of various Napkin Folding Techniques were showcased. The Tuxedo, Goblet Fan, Rose Bud, Bird of Paradise were some notable folds amongst many that were demonstrated and practiced. 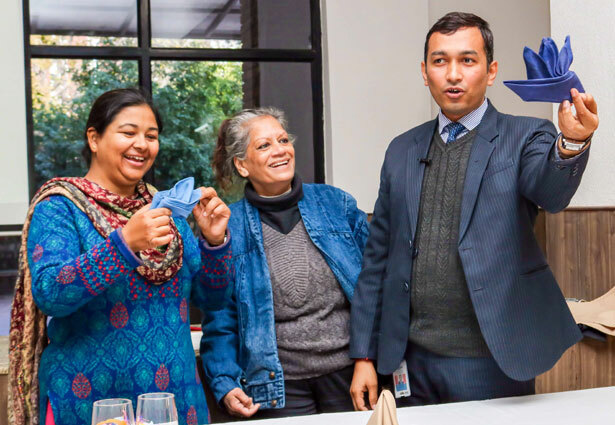 School of Hospitality Management had organized Skill-training, based Workshop on Napkin Folding Techniques on January 19, 2019. The workshop entailed the origin and history of Napkins and Napkin folding along with Napkin etiquettes. The demonstration and practice session of various Napkin Folding Techniques were showcased.
. He told the students to take example from the life of Swami Vivekananda and rise ahead in life. Swami Jagdish while addressing the students stated that Swami Vivekananda inspired millions of youth during his era and continues to do so even today. 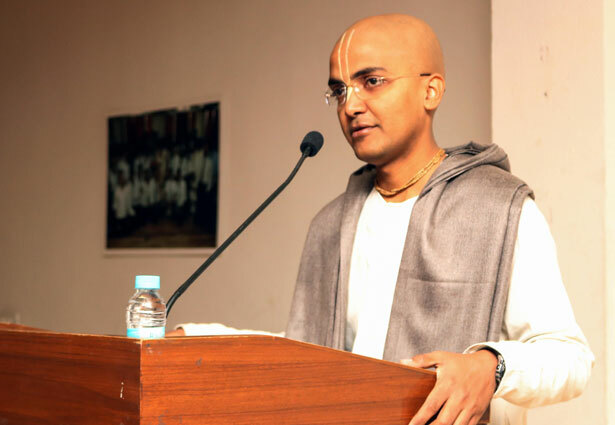 He exhorted students to read Bhagwat Geeta and also learn from the teachings of Lord Krishna. 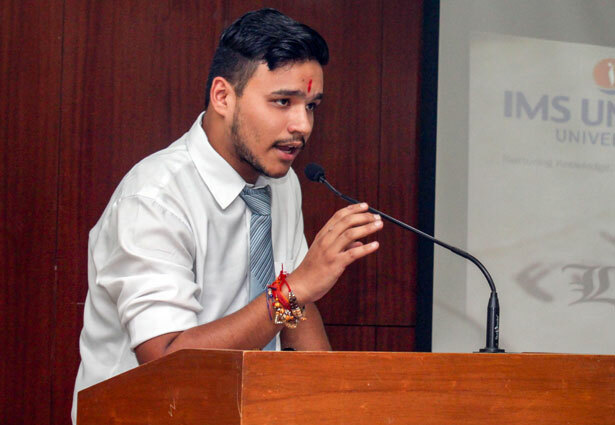 A short documentary prepared on the life of Swami Vivekananda by the students from School of Mass Communication was also presented on the occasion. e School of Hospitality Management is organizing the Open Workshop on Food Business Entrepreneurship on 15th January 2019 for hospitality and management stream students from 10:30 am to 1:00 pm .The objective of this Workshop is to sensitize and motivate the budding professionals for spirit of entrepreneurship. The workshop would include the sessions on understanding the Food Business, Preparing Business Plan and arranging finances and important aspects of successfully running a food business. 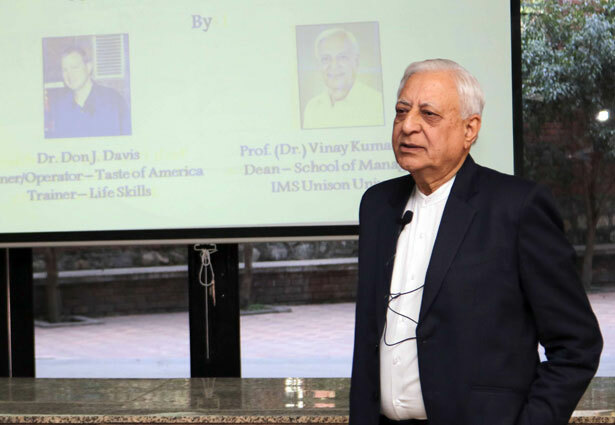 Mr. Don Davis, Owner/Operator –Taste of America and life skills coach and Prof. Vinay Kumar Nangia, Dean SoM will be the experts for the sessions. 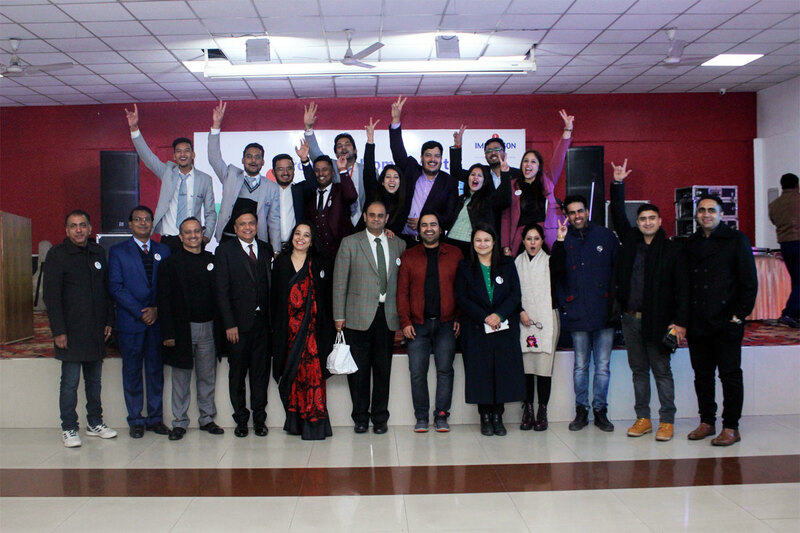 ADIEU-2018 for Passing out Students of MBA & LL.M. Programs. 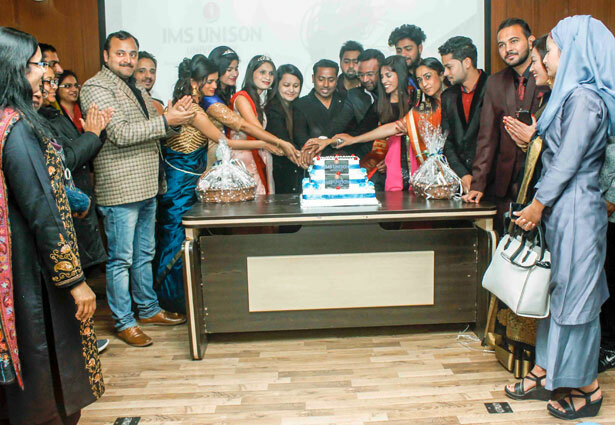 IMS Unison University, Dehradun bid farewell today to its passing out batch of MBA & LL.M students in a Farewell Party which was organized in the University premises. The students, both guests and hosts, were dressed at their brilliant best. 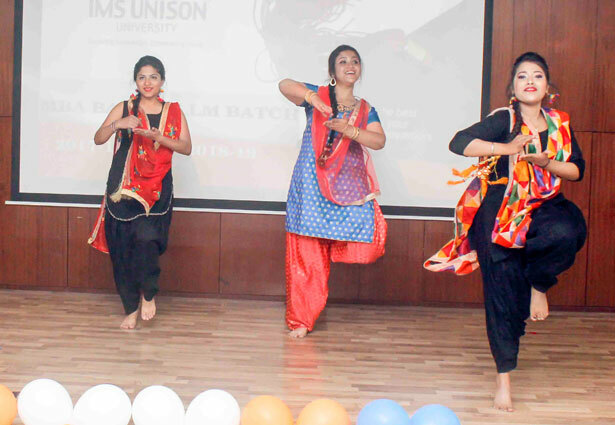 Mesmerising performances put together by the students enthralled the Faculty and outgoing students both. Myriad dance and songs were the main attraction of the day. The performances given by the outgoing students was appreciated and applauded by all. Prof. (Dr.) Gurdip Singh Bahari, Chancellor, IMS Unison University showered his blessings over the students and wished them good luck for their future. He encouraged the students to set high goals for themselves and work hard to achieve them. On the melodious notes of foot tapping music, students danced and rocked the stage. 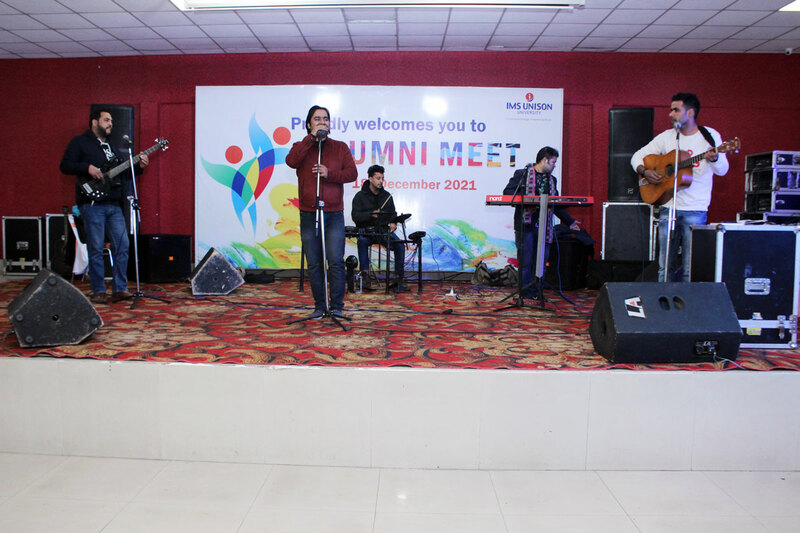 It was indeed a memorable event for the outgoing students of the University. National Business Plan Competition was organised by school of management as the part of annual fest, Lamhe. The event witnessed a participation of more than 25 students across different colleges and universities. The event was judged by industrialists on the different technical aspects of Finance, Marketing, Human resource and Operations. The winners were :ParthNandwani, Shitoshna Shrestha. Second prize was bagged by Nischay Saxena, Vishantsuri, Shashank Pandey. & Third prize was won by Surbhi Gupta, Dakshes Rawat & Manu Sharad. 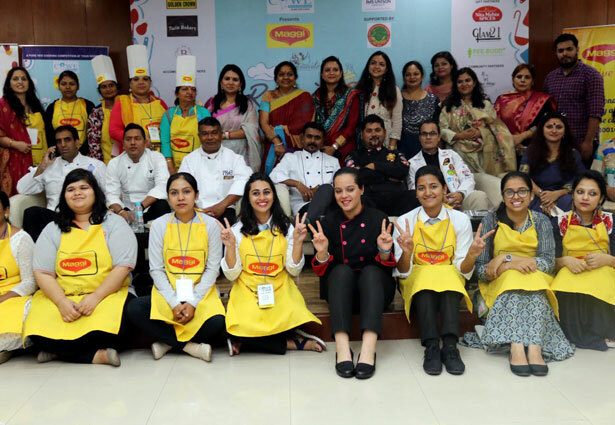 School of Hospitality Management hosted Master Chef 2018 culinary competition. 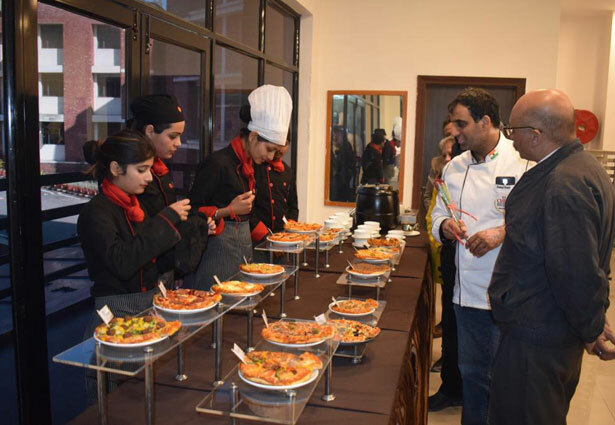 The culinary competition was aimed at providing artistic expressions through food. Ten teams participated from various schools of Universities and Institutes from Dehradun. The basic ingredient basket, along with the noodle was provided to the participants and given a challenge to create innovative dishes. 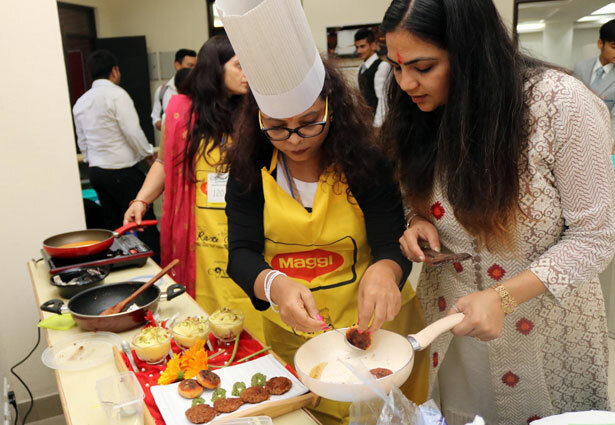 Participants created very unique and interesting dishes namely peppery Maggi, magnest and Maggi kofta. Team of Paridhi Garg and Aadish Khanduja from Management Stream won the first position and second position was bagged by Rajni Sanger and Rohit Malik from IHM Dehradun. Lamhe 2018 create colorful delight for the young minds. 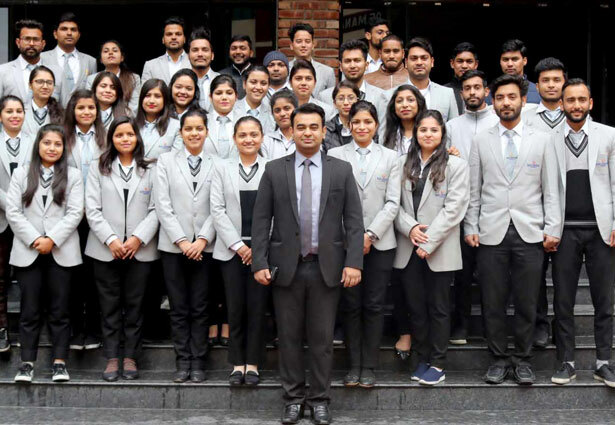 School of Hospitality Management organized Master Blender 2018 aimed at encouraging the practical skills in the student participants. 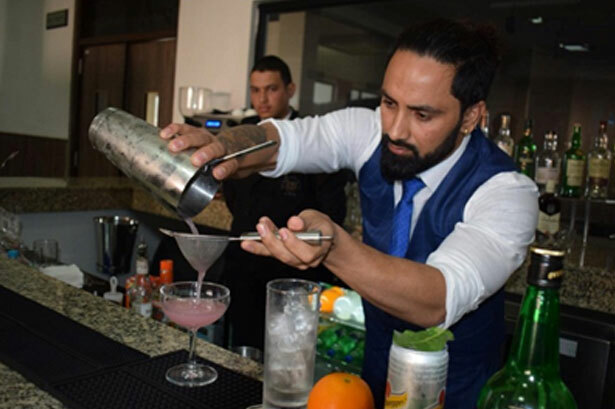 Nine participant showcased their skills at training bar of the school. The participant presented impressive array of mocktails that bedazzled the judges. 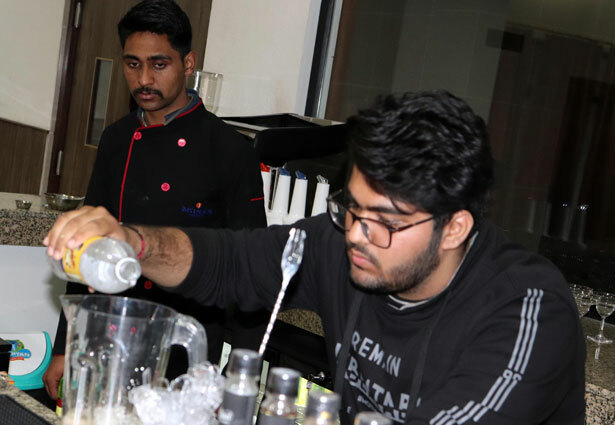 Innovative Mocktails namely Bleeding Kausani, Detox Breezer, Ginger Lemmon Mojito and Chatpata Mary were showcased First Position was secured by Mr. Sunil Chourasiya from Alpine College, Dehradun.Runners Up was secured by Ms. Paridhi Garg from School of Law, IMS Unison University Dehradun. 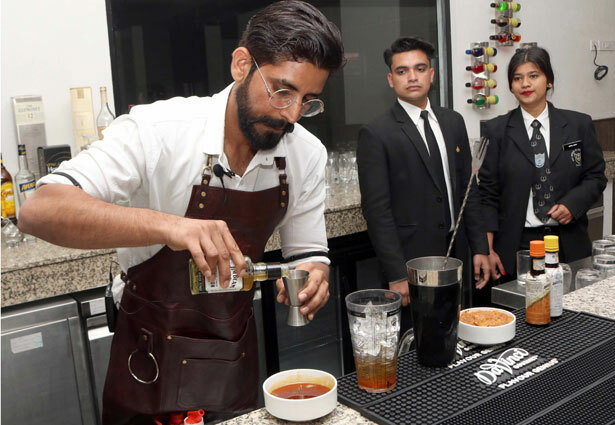 The event was judged by Mr. Kuldeep Singh, Bar Manager Hotel Ramada Dehradun and Mr. Tushar Arora, CEO Tangerine Boxx and an Accomplished Beverage Connoisseur. School of law organized Legal Debate. It was a successful event which gave a platform to students to inbuild their debating skills. 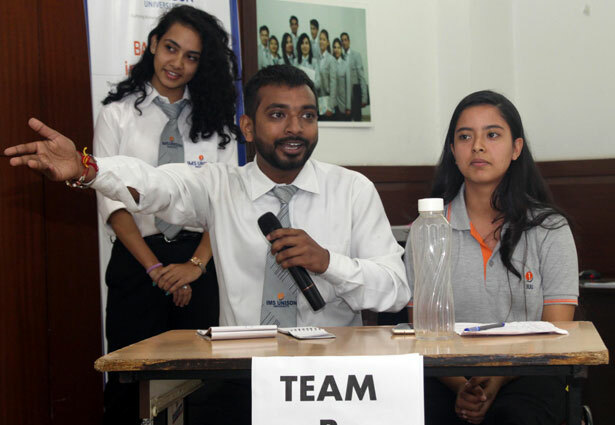 The total number of teams which participated were 5 and it was judged by Ms.Shalini Saxena. Every thing was held under guidance of Mr.Nikunj Singh Yadav. Raman of BHU and Alok of IMS Unison were declared as winners while the Aaditya and Akansha of 7th sem IMS Unison were runnerup. Best manager was organised by School of Management. In this event we judge the innate qualities of a manager in the student. Five rounds namely Introduction, Business Quiz, Case Study, Extempore and Management Game are conducted to test the students. The student scoring highest total marks is declared The Best Manager. 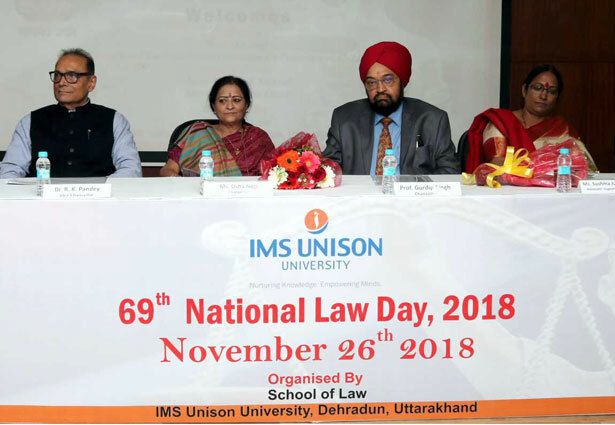 IMS Unison University School of Law celebrated the 69thNational Law Day, on 26th November, 2018 in all its grandiosity. The zealous day witnessed passionate rounds of competitions and activities performed by the students of School of Law. The exuberant day began with the final showdown between the two teams of the moot court competition, the teams showed extreme vigor. The essay writing competition organized by the Seminar & conference committee, legal quiz organized by the Debating society, poster making competition organized by the client counseling committee and the Nukkad Natak competition organized by the Legal Aid Society, further illuminated the importance and significance of the day. The prize distribution ceremony commenced with the welcome address by Dr. Saroj Bohra, Head, School of Law, who expressed her gratitude to the Chief Guest and Guest of Honour for adding luster to the event by their presence. She also gave the brief overview of various activities conducted by School of law on the occasion of 69th National Law Day, 2018 and congratulated the students for the same .Further, Professor Dr. R.K. Pandey Vice Chancellor admonished the august gathering by extending his heartening welcome to the honorable Chief Guest & amp; guest of Honour and also extended his greetings to all the participants, for their efforts. 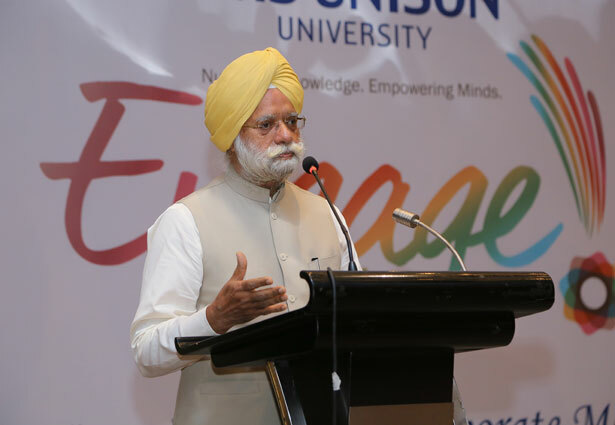 Professor Dr. Gurdip Singh, Chancellor, further enlightened the afternoon by his exhilarating words of wisdom. Honorable Guest of Honour Ms. Sushma Juyal Anthwal (Senior Advocate Supreme Court), in her spirited declamation sighted the importance of Law day and congratulated students for their efforts and activities held since morning. Honorable Chief Guest Ms. Usha Negi (Chair Person- Uttarakhand State Commission for Protection of Child Rights), in her eternalizing declamation said that the National Law day should be celebrated daily as a responsibility of an individual. According to her students should cooperate with commission to make commission’s work very smooth. 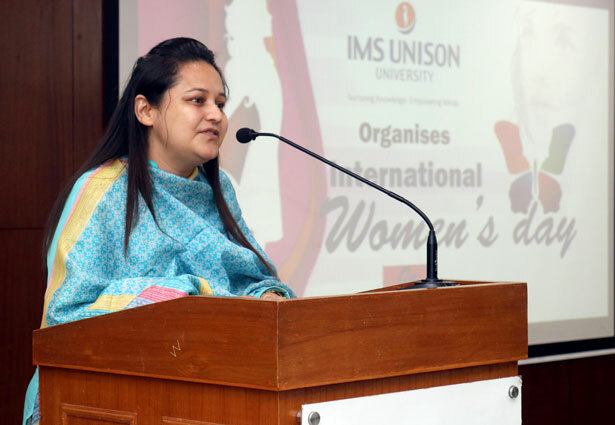 Ms. Shalini Bachheti, Faculty Convener, in her vote of thanks presented her gratitude to the faculty members and the students of School of Law for the success of the event. The jubilant day came to an end with the prize distribution ceremony as well as student’s accolades has been acknowledged and the felicitation of the esteemed guests. 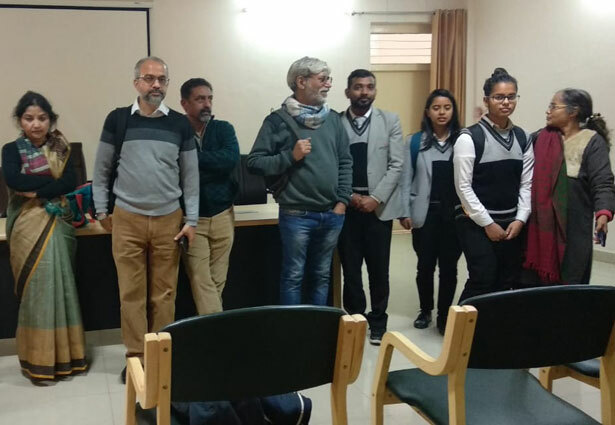 A special One Day Photography Workshop was organized by the School of Mass Communication Mr. Bhumesh Bharti, a very senior and renowned Uttarakhand based photographer was the resource person for the event. Mr. Bhumesh Bharti is well known in the field of wildlife and defence photography for more than 18 years. 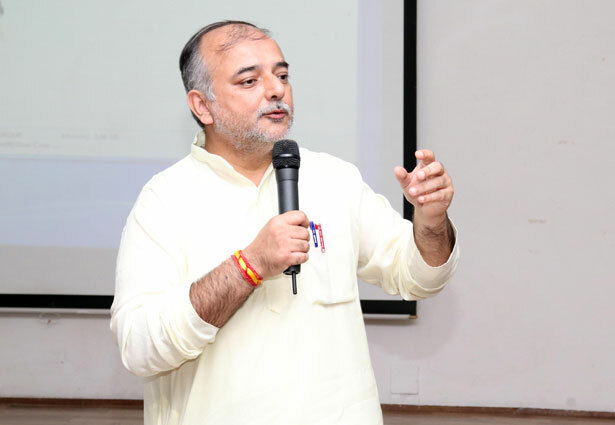 He has been associated with various organizations like Outlook Magazine, Careers 360, Uttarakhand Tourism and many more regional and national media organizations. The workshop was held in two sessions. 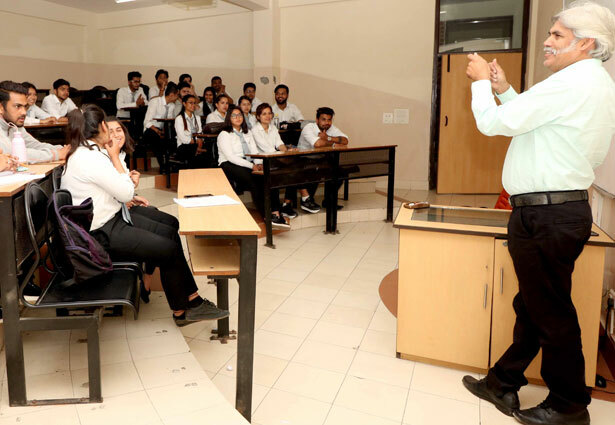 In the first session, Mr. Bhumesh Bharti discussed the history of photography, highlighting the days when photographs used to be black and white. He also explained in detailed the style of photography and evolution of camera from film role to digital era. He further discussed the various technical aspects of clicking the perfect meaningful photo. He then explained the different types of cameras and their uses. He also elaborated the importance of different lenses, aperture, shutter speed, ISO etc. Using the projector, he demonstrated the different kinds of pictures he had captured and explained how he used different lenses and camera angles to bring out the desired story. In the second session, students were asked to showcase the pictures they had clicked during the workshop session. Mr. Bhumesh Bharti happily critiqued each and every picture while giving his viewpoint on the same. The students were therefore able to gain valuable advice on how to improve their photography skills. The highly interactive workshop then culminated with a question and answer session where budding photographers cleared their doubts. Overall, it was an enriching experience for all students who want to gain a foothold in the highly lucrative photography industry. The session then concluded with a vote of thanks by Dr. Sushil Rai, Head, SOMC.